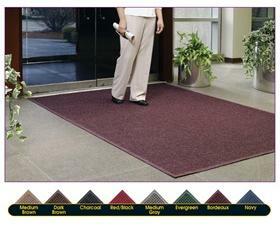 Guaranteed to outperform all vinyl backed and rental mats. The ideal combination of durable 24 ounce fabric with a fashionable look. 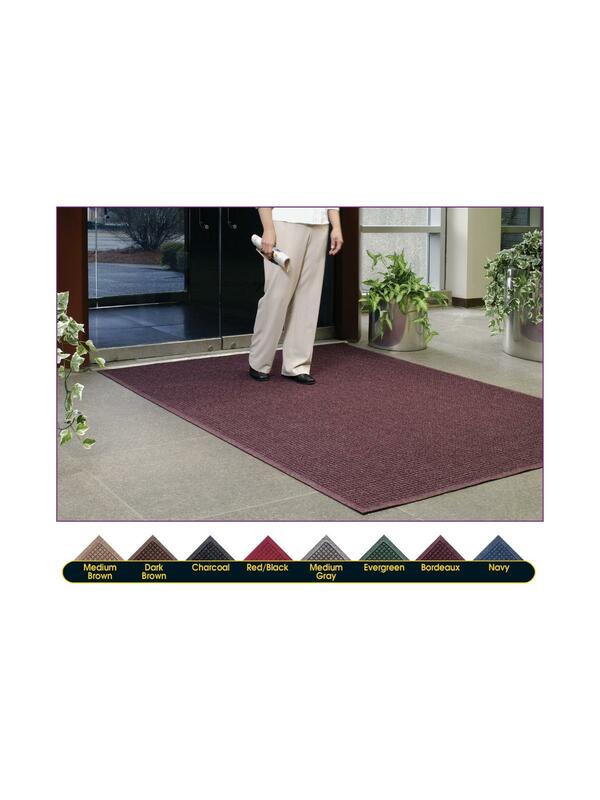 Certified by the National Floor Safety Institute as an Anti-Slip matting reducing slips and falls. Available in Medium Brown, Dark Brown, Charcoal, Red/Black, Medium Gray, Evergreen, Bordeaux, and Navy. FOB Shipping Point.